No matter what month, year or kind of weather it is in the TX, your HVAC needs regular repair and maintenance. Your heating and cooling system ensure that your home or office is super comfortable. They work day and night to keep the environment cool or warm as per the weather needs. They are bound to suffer wear and tear at some point of time. Professional help you keep everything efficient. Regular commercial HVAC maintenance in Plano TX can help you keep your HVAC system at the top notch condition. It is never too early to start the maintenance program for your HVAC system. 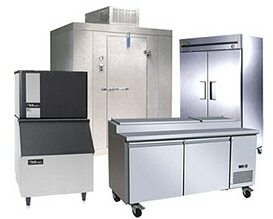 Commercial HVAC system needs extra care and maintenance to save money, time and energy. With regular maintenance service you can ensure efficient functioning of your system. HVAC comes with a manufacturer’s estimated lifespan. To reach that mark your system need regular maintenance without which your system cannot reach its highest efficiency level. Regular repairs and maintenance ensure that the technicians spot the problem area and fix it before it can turn out be a major issue. They can take care of essential things like cleaning and adjusting so that your system can remain in top working condition. Your HVAC system is bound to accumulate dust and dirt after a long use. These elements can clog the filters and vents and make the system work harder than ever to perform. With regular commercial HVAC maintenance in Plano TX you can reduce the downtime and improve the performance of the system. Even if your system is few years old, you can still retain optimum performance with regular maintenance of the different components of the system. With regular commercial HVAC maintenance you can save money. Regularly maintained system needs fewer repair works and will not suffer a sudden breakdown. This can save you money on expensive repair or replacement cost. This is one of the reasons why you need commercial HVAC maintenance in Plano TX. Regular maintenance if your HVAC system is the key to having an efficient system in your premises. With the right service you can ensure that your system is running efficiently all the time and keeping everyone happy and comfortable in the office.